You may have heard that you can watch thousands of free TV shows and movies using an Android box that runs Kodi. But you also may have wondered if installing Kodi is complicated or if you should buy a “fully-loaded” Kodi box instead. This article will explain how to install Kodi on Android boxes, along with the best addons for Android Kodi boxes. It will also explain why “fully-loaded” Kodi boxes should be avoided. Kodi is an open-source software media player from the Kodi Foundation. It allows users to play videos, songs, podcasts, and other content stored on a device or streamed from the Internet. Kodi has become a buzzing topic recently because of the popularity of third-party addons that allow users to stream pirated content. However, the Kodi Foundation has taken a strong stand against copyright-infringing addons and has designed the app to block these addons unless the user specifically alters the settings to allow them. There are also many addons that stream from official sources, including the ones recommended in this article. Kodi can be installed on Android boxes or on Apple TV, Nvidia Shield, Amazon Fire TV/Stick, PC, Mac, or Android or iOS phone. ISPs are often the biggest problem for Kodi users. Not only do they frequently throttle data connections for video streams, law changes now let some ISPs collect your browsing data. These actions expose Kodi users to significant privacy risks. Additionally, some sites you may be streaming from through Kodi employ geographic content blocking. This allows them to block connections from different countries or regions, limiting how much you can watch. A VPN, or virtual private network, will help you bypass ISP monitoring and throttling, as well as get around geographic content blocks on different streaming sites. Not all VPNs are good for Kodi users. 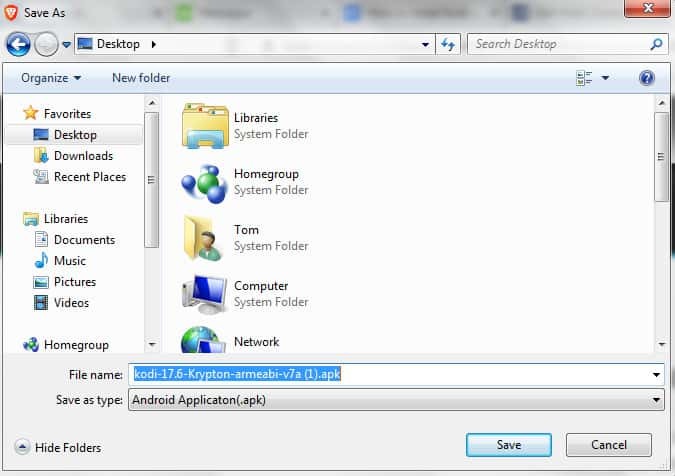 Some don’t have apps in the Google Play store, making them hard to install on Android boxes. Others are too slow for HD streaming or keep logs of users’ activities. We recommend IPVanish for Kodi users. In our testing, we found it to be one of the fastest VPNs on the market. It has an app for Google Play, making it simple to install on any Android box or Nvidia Shield. It also has a strict no-logs policy. IPVanish is a great way for Kodi users to protect their privacy while watching their favorite shows. 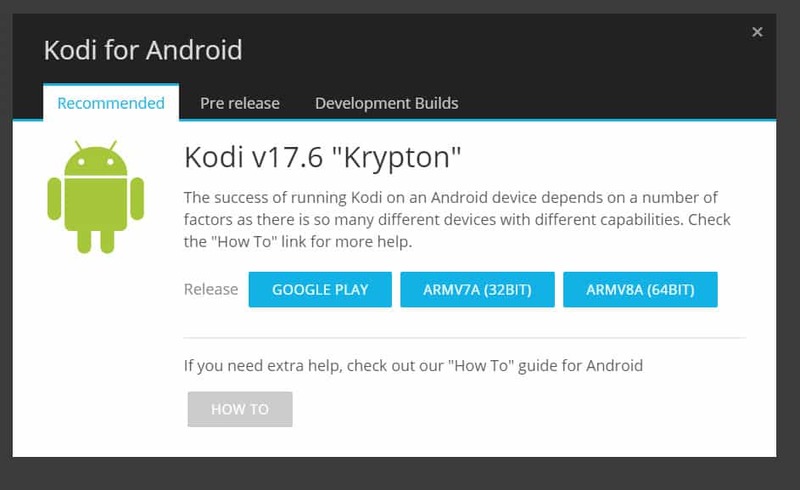 The instructions below will explain how to install Kodi on an Android Kodi box. However, many merchants try to sell something called a “fully loaded” Kodi box. This is usually an Android device with Kodi and a bunch of addons preinstalled. We do not recommend purchasing a fully loaded Kodi box. Fully loaded Kodi boxes almost always contain multiple copyright-infringing addons from repos that are not reputable. These addons may contain malware. And they may cause your device to freeze, crash, or simply stop working at all. Even if these addons do not cause performance problems, they are usually full of dead links to unofficial streaming sites that have been shut down for one reason or another. As a result, they often just cause frustration for users. We recommend purchasing an Android box or other streaming device that has not been tampered with. Once you have received the device, it is simple to install Kodi and reliable addons that stream from official sources. You can even modify the look of your Kodi installation with a different skin or build (although you will may need to remove some addons from the build to make it fully legitimate). The rest of this article will explain how to install Kodi on a new or used Android box. There are two ways to install Kodi on an Android box. You can either install it from the Google Play Store (recommended) or sideload it using a PC. To install Kodi from the Google Play Store, simply open the store and search for “Kodi” in the search bar. Click on the official Kodi app, published by “XBMC Foundation.” There should be a green check mark next to the publisher’s name to prove that it is coming from the official account of the Kodi Foundation. You may also want to check out how to install Kodi on an Android phone or tablet. Once you have Kodi loaded onto your Android box, you will be able to play any movies, songs, or other content you stored on your device. In order to stream content from the Internet, you’ll need to install some addons. Here are some of the best Kodi addons to install on your Android box. The Tubi TV Kodi addon streams from Tubi TV, a free VOD service with one of the largest catalogs in the world. It has movies like Legally Blonde, The Rage: Carrie 2, Perfect Stranger, 28 Days Later, The New Guy, and others, as well as TV shows like Wolfblood, Atlanta Plastic, 3rd Rock From The Sun, and more. If you watch Tubi TV through a web browser or the Google Play app, your program will be interrupted from time-to-time with commercials. But through Kodi, none of the ads are shown. Many of Tubi TV’s titles are geoblocked against users from outside of particular countries. Essentially, there are four separate versions of the Tubi TV catalog: US, UK, Canada, and “international” (meaning everyone else). With a VPN, you can get past these blocks and unlock all four versions. 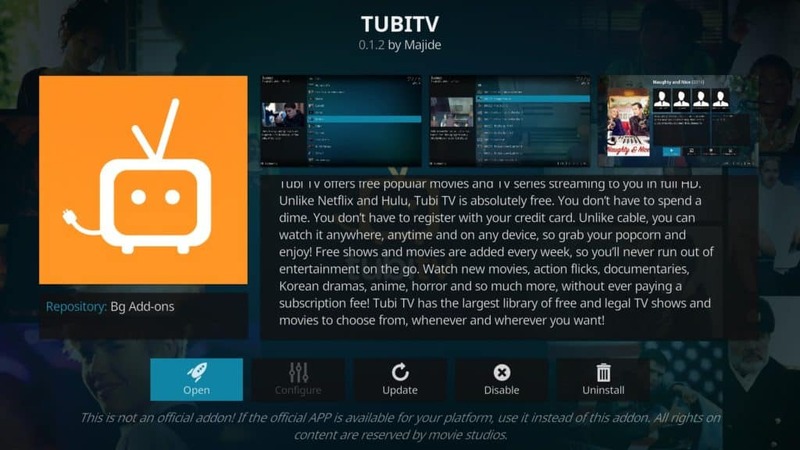 Follow these instructions to install Tubi TV for Kodi. The Crackle Kodi addon streams from Crackle, a free VOD service provided by Sony. It has original shows like Startup, as well as popular movies like Rocky 2, Friends With Benefits, Charlie’s Angels: Full Throttle, Underworld: Awakening, and more. If you watch Crackle content using the Crackle Android app, advertisements are shown. These are eliminated when you watch through Kodi. 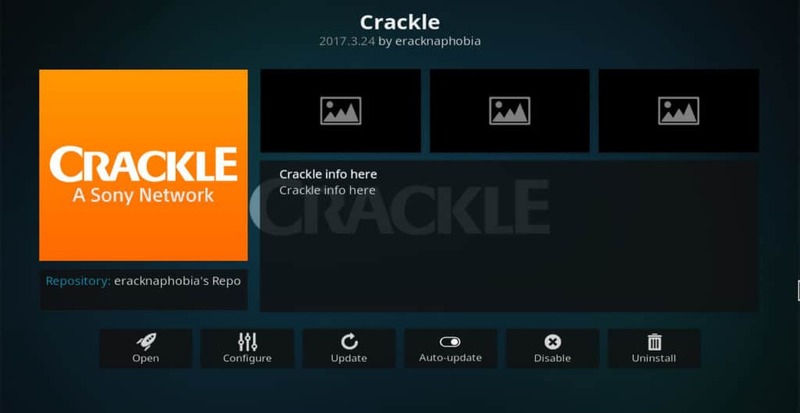 To install Crackle for Kodi, start at the Kodi main menu. Click addons → download → video addons → Crackle (from the publisher “eracknaphobia”) → install. The USTVNow Kodi addon streams from USTVNow, an over-the-top TV service that offers both a free and premium package. You can sign up for USTVNow at its official website. The free package offers NBC, ABC, The CW, PBS, CBS, My 9, and FOX. The premium package offers 18 additional channels for $19.00/month, including AMC, Bravo, Fox News, Nickelodeon, and others. To install USTVNow for Kodi, click addons from the main menu. Then click download → video addons → USTVNow → install. Once it is installed, right-click and select settings. Enter your USTVNow username and password. The addon should work correctly once you have done this. 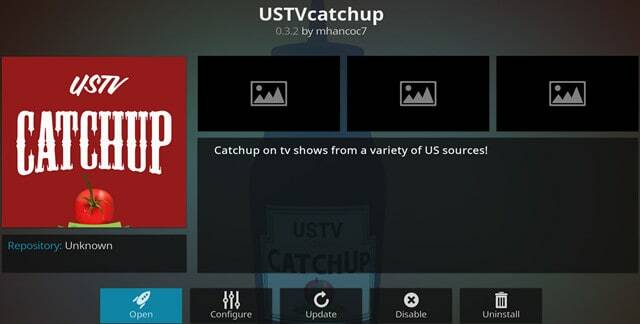 USTVcatchup streams from the official websites of several US network and cable channels, including ABC, Cooking Channel, DIY Network, Food Network, Freeform, HGTV, NBC, PBS Kids, Smithsonian Channel, and Travel Channel. You can watch the latest episodes of Grey’s Anatomy, Dancing With The Stars, This is Us, Superstore, Flip or Flop, and more using this addon. To install USTVcatchup for Kodi, first install the Indigo Kodi addon. Then, click addon installer from the Indigo main menu, followed by video addons → U → USTVcatchup → install → continue. The Popcornflix Kodi addon streams from Popcornflix, a free VOD service owned by Screen Media Ventures. It carries quite a few popular films, including Amityville Terror, Zodiac, Hugo, Patriot Games, Witness, True Grit, and others. If you watch Popcornflix content using the official Android app, advertisements will be shown. Through Kodi, these are eliminated. To install Popcornflix for Kodi, click addons → download → video addons → Popcornflix → install from the main menu. Pluto.tv is a free over-the-top TV service with over 100 channels. It has news channels like Bloomberg, Newsy, Cheddar, and CBS News, as well as channels aimed at specific interests such as Flicks of Fury (for fans of Kung-Fu movies), World Poker Tour, Stand Up TV, Cats 24/7, Anime All Day, 4K TV, Unsolved Mysteries, and more. 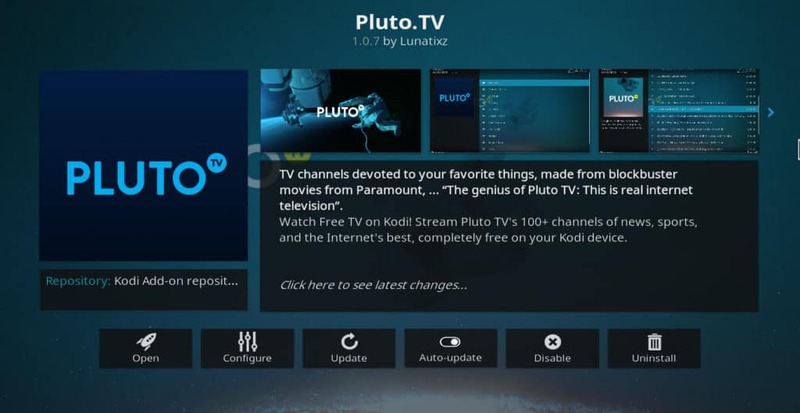 To install Pluto TV for Kodi, select addons → download → video addons → Pluto TV → install. After installing, right-click the addon and enter your Pltuo.tv username and password. If you don’t yet have an account, you can sign up for free at Pluto.tv. We hope you’ve enjoyed this guide to installing Kodi on Android boxes. If you would like more information on how to get the best use out of Kodi, you might want to read some of our other articles on the subject, including how to watch anime on Kodi, the best sports Kodi addons, and the best addons for movies.